Why Newport Beach Mobile Billboards? 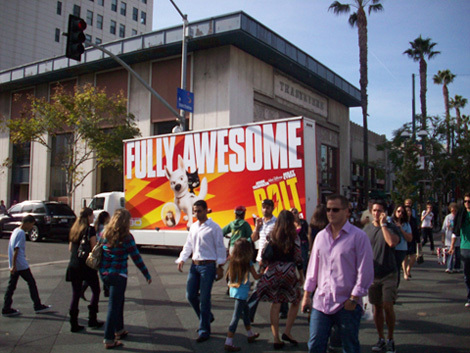 Newport Beach Mobile Billboard Advertising has has completed over 2,000 national mobile billboard campaigns. We successfully drive your message to your target audience. Our giant mobile billboards saturate your market with repeated exposure and drive your message home. Unlike other forms of advertising, our national mobile billboards can't be thrown out, turned off or tuned out. Our back lit Newport Beach Mobile Billboards attract additional attention with surround sound playing as they drive down the street looking like a giant TV.